Koliai carpets are knotted by a Kurdish minority. About five million Kurds live in Iran, most of them in the western part of the country. Their skills in carpet knotting are highly valued. Koliai carpets are no exception. These are robust carpets that are ideal for everyday use. Kurdish rugs almost always have a firm knotting with a high pile. Thus, these carpets are well protected against dirt, which significantly extends their durability. While Koliai rugs used to be made entirely of wool, nowadays cotton is used for the warp. Kurdish carpets like the Koliai are usually decorated with geometric patterns. In terms of colour, they are rather discreet and suitable for a broad range of interior styles. Because they are very durable carpets, they are ideal for rooms that are often frequented and have to withstand above-average stress. Koliai carpets are usually quite long (over three metres), which means that they are often used in long corridors or large rooms. These rugs have been provided from an assortment of over 50 Koliai rugs by Nain Trading from Hamburg. Hamburg, Germany is still the most important hub for the trade of oriental rugs in the Western World with Nain Trading offering one of the largest assortments of handmade oriental carpets worldwide. Location - where are Koliai rugs coming from? This type of carpet is knotted by the Kurdish minority in Iran. They mainly come from the Kurdistan region. Robust Persian rugs, characterised by their hexagonal centre medallion. Robust Persian rugs that are ideal for everyday use and affordable at the same time. Knotted by former nomads with straight-line patterns, today very popular again. Garden motifs from Persian gardens, for which these rugs are known and appreciated. Rugs knotted in Kurdish style and known for their firm pile. 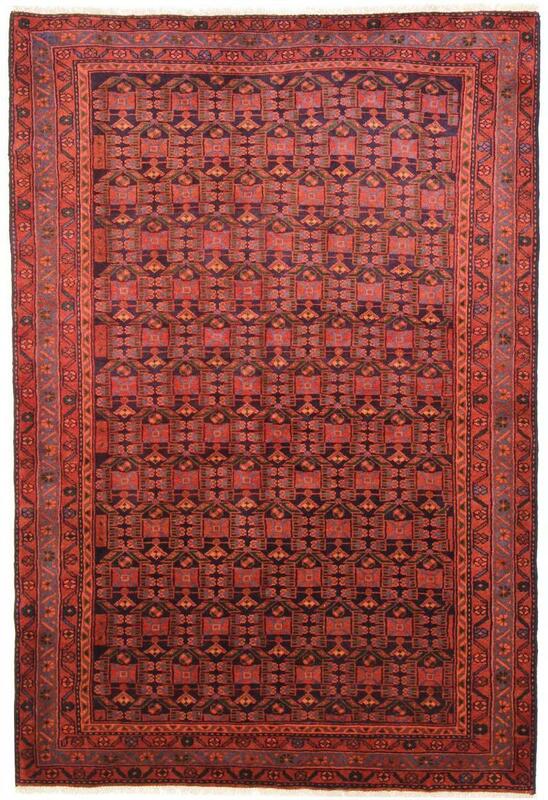 Simple and elegant – probably the most famous nomad rugs from Iran. Typically knotted in reddish brown colours and on horizontal looms. Rugs that stand for luxury and are especially known for their natural silk. Different colours and patterns come from the Hamadan region. Large elaborate central medallions can be found on these rugs. Some of the finest rugs come from Isfahan. Also collectors find a highly valuable piece here. Floral patterns from one of the once most highly regarded rug regions. Rugs with an excellent reputation and a far-reaching tradition. 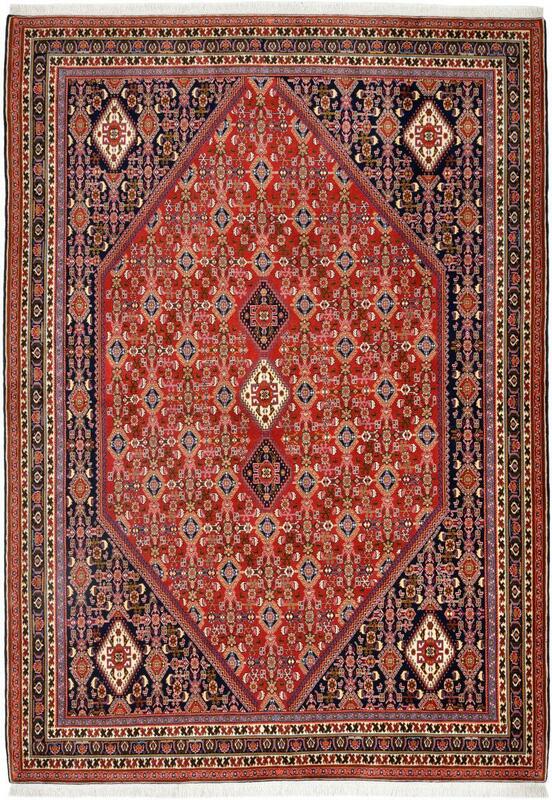 Robust and strong, these carpets were knotted by Kurds in Iran. Different designs, which originate from the probably holiest place of Iran. Popular for the garden motifs or the well-known Herati pattern. Typically, these rugs are kept in red and blue. They belong to the finest rugs and are known for their striking design. Rugs with mostly geometric patterns from the provincial capital of Kurdistan. Typical nomadic carpets from the old Shiraz among the ancient ruins of Persepolis. Well-known rugs with central medallion in different levels of quality.